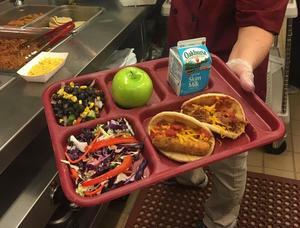 RSU14 Food Services profiled on Maine Public Television, "Maine Things Considered"
This Maine School Makes Nutritious Lunches So Tasty, Parents Ask For Recipes! 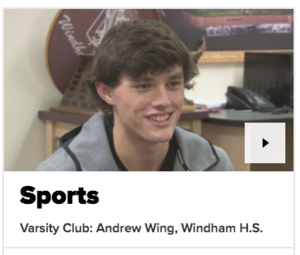 WHS's Andrew Wing is recognized by Newscenter Maine as it's latest Varsity Club member. Lydia Marden, Maine State winner in the Music Composition Intermediate Division, has also won at the national level! 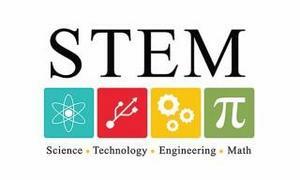 “Discovering Water” Now available free through iBooks! Our legislative delegation visited Windham High School today and met with one of our senior personal finance and citizenship classes. 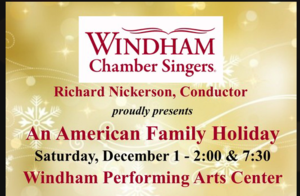 The Windham Chamber Singers present An American Family Holiday, Saturday, December 1st at 2:00 & 7:30pm. 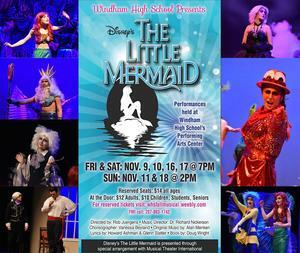 The WHS production of The Little Mermaid Opens November 9th.